SheffMed now offers Vorotek LED Headlights. LED Headlight - Freedom and mobility. Vorotek was founded in 1971 by Australian ENT surgeon Dr John Vorrath. For over forty years Dr Vorrath has been developing and producing head worn, fully integrated optical systems with illumination. His drive has always been to provide users with products that enhance their capability for examination, instrumentation and procedures. 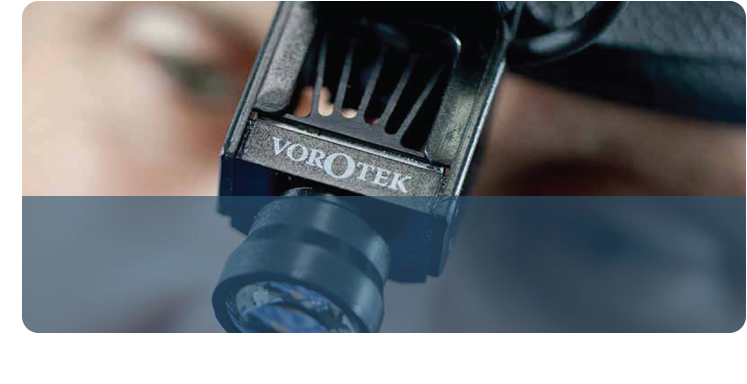 In 2006 Vorotek first introduced LED illumination to it's range. Now the Vorotek LED Headlight is replacing fibre optic lighting systems. The intensity and quality of the illumination is matched, and not being tethered by a fibre optic cable or power lead is a major innovation and benefit.